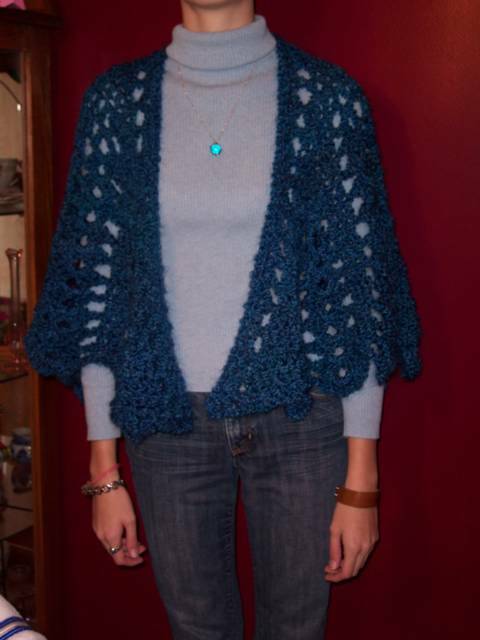 I've fallen in love with a crocheted shawl pattern. Doni, the creator of the pattern, has beautiful close-up pictures of the shawl's construction on her site. The pattern is fun to crochet. The shawl is crocheted from the top down, so you just keep crocheting until you get the size shawl you want. The shawl drapes nicely, and its shape helps it stay on your shoulders. Doni calls it a "batwing" shape, but Brigid thinks it looks like a butterfly. I have to agree with Brigid. I've made shawls with two or three 6-ounce skeins of TLC Amoré, Lion Brand Homespun, and Bernat Soft Bouclé (5-ounce skeins). I'm pleased with how each of them turned out. 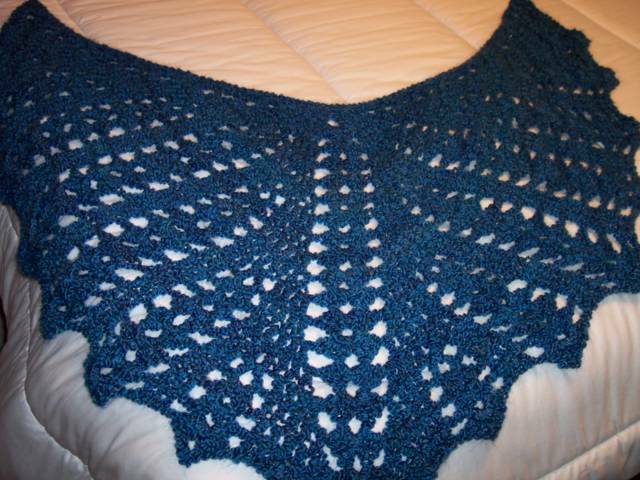 The TLC Amoré yarn is rather light and makes a good shawl for spring or fall. 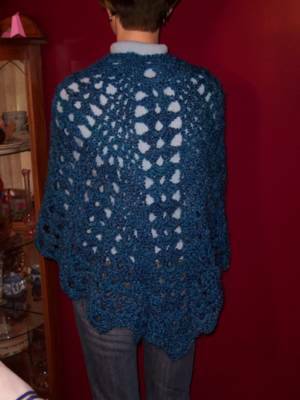 The Lion Brand Homespun is much warmer, appropriate for winter wear. The Bernat Soft Bouclé is soft and fluffy. 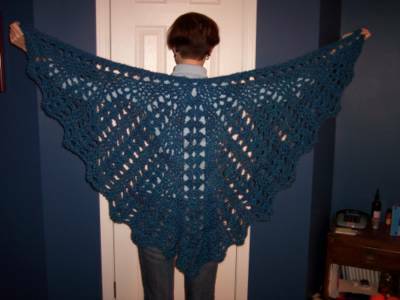 Shawl from the front. Brigid didn't want her face in the picture. Do you know how hard it is to intentionally cut off someone's head in a photo? Doing it accidentally is much easier!